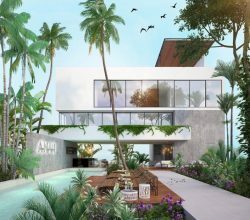 As America’s Baby Boomers are started to approach their golden years, retirement living in Mexico is becoming an increasingly popular choice for active seniors and their spouses. 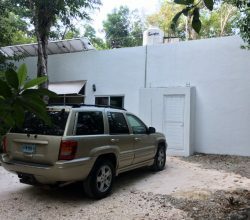 After all, Mexico isn’t just a beautiful country with a booming economy and a cheaper cost of living – it’s also a warm place where coastal beach communities are thriving, locals are welcoming and the lush jungles and white beaches are just begging to be explored that enhances Living in Mexico and makes for an exciting proposition. If you’re interested in Living in Mexico, then you’re not alone. It’s estimated that between 400,000 to 500,000 American citizens are living within Mexico, most of which are retired seniors over 50 who want to enjoy their silver and golden years in style. And as Mexico certainly boasts cheaper healthcare costs than in the United States, this means that seniors can get much bigger bang for their retirement bucks, which is an important financial consideration in the post-recession world. 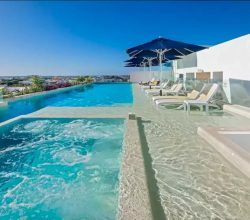 In short, if you’re approaching the end of your dazzling career – and you want to kick back and relax in a country that really knows how to live – then it’s time to learn more about Living in Mexico. This article will explore what legal requirements you need to fulfill in order to retire and Live in Mexico, and in addition what living standards you can expect when you make the move to Mexico. If you’d like to live out your retirement in Mexico, then you need to provide evidence of financial stability to immigration control and the Mexican government. These entities want to ensure that you’ll be able to enjoy your retirement without having to rely on the state for public assistance. Therefore, if you want to gain entry clearance and legal residency to retire in Mexico, you’ll need to show evidence of your retirement funds, in addition to any supplemental income you may be receiving from investments, businesses and other residual income sources. Unlike in other countries, Mexico does not have a minimum income requirement that you’ll need to meet to get your retirement visa; however, this does not mean that the visa itself is easy to get. Your case will be personally handled by a border control unit who will carefully examine your financial documentation to ensure that you have enough funds to support yourself and your family once you set up residence in the country. If you want to ensure that you’re approved for your retirement visa, then it’s recommended that you have at least US$1,500 per month to support yourself, with an additional US$ 500 for every person that you bring with you (this includes any spouses, children, grandchildren or any other legal dependents). 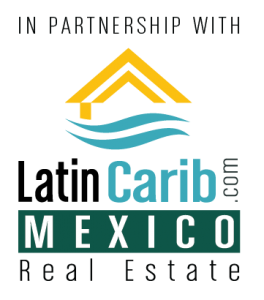 Please note that if you have purchased property in Mexico, you won’t need to have this much money, as the above figure assumes that you will need the extra income for a rental home or apartment. 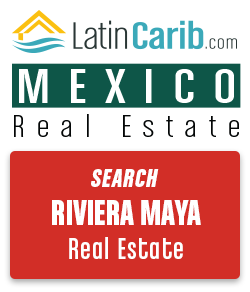 If you do own a home in Mexico, you can also apply for legal residency in another visa category. Contact an immigration lawyer if you need assistance with deciding which visa category you’d like to apply for, as each comes with its own benefits and restrictions. When you embark on your retirement journey in Mexico, you’ll have a wealth of options where you can retire. The ideal location for you, however, depends on what you’re looking for from your retirement experience. 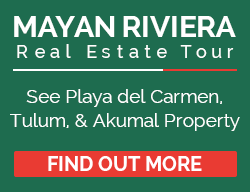 As a majority of the retired Americans in Mexico live near the beach in either the Yucatan Peninsula or along the Pacific Coast, we’ll focus our explorations on these popular retirement communities. If you want to retire somewhere that’s close to the California border (and is within an hour’s flight away from metropolitan hotpots like San Diego and Los Angeles), then Baja California and the State of Sonora, Mexico presents an exceptional retirement option. Beach lovers and avid sports enthusiasts alike call Baja California home, which is located along the Pacific Ocean. Think warm, sun-drenched beaches, temperate ocean climates and the kind of weather that makes retirement in Mexico a truly wonderful experience. For those who love the desert and want the bonus of warm waters and gentle tides the Northern shores of the Sea of Cortes along the State of Sonora shoreline just might be for you. There are brand new highways along the coast and two toll roads from the USA border that connect to the new coastal highway. The State of Sonora, Mexico is the most progressive towards promoting ex-pat retirement and second homes as well as medical tourism. There are over 31,500,000 people living in the USA within 400 miles of these pristine beaches. With the new hospitals and new highways coupled with no import taxes on gringos bringing their cars boats and trucks within the 250 mile hassle free zone makes it a game changer… it is very much going to be like an affordable Scottsdale or Palm Springs by the sea. If you want to stay on the Pacific Ocean coastline but want to move farther down into Mexico, then the tropical paradise of Acapulco will be perfect for you. This beach resort town has plenty of big city amenities, so you’ll never need to travel far for doctors’ appointments. Additionally, a wide range of shops, restaurants and resorts means you’ll be kept busy throughout your retirement years – and you’ll never run out of entertainment options when the family comes to visit. 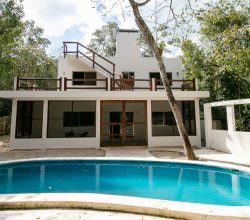 If you want to be closer to your East Coast family without sacrificing your retirement in Mexico dreams, then consider living in one of the several coastal communities that line the Caribbean shoreline of the Yucatan Peninsula. While we wouldn’t recommend Cancun as your next location to retire (unless you enjoy partying with thousands of college students from February until April), cities along the Mayan Riviera represent the best of both retirement worlds. You can relax by the water or explore ancient Mayan ruins by night, and toast yourself to a wonderful retirement in one of the area’s many five-star restaurants, bars and resorts. In general, Retirement Living in Mexico is much cheaper than that of the United States and European countries. Additionally, healthcare in Mexico is remarkable less expensive, meaning you’ll get better healthcare without draining your retirement fund. Without insurance, a doctor’s visit averages out to about $25, while an overnight stay in a hospital will cost you about $35. However, you’ll never have to worry about not having insurance, as the Mexican federal government funds a universal healthcare program; you can opt for private insurance if you feel you’d like additional coverage. If you’re after cheaper healthcare, a lower cost of living and the most luxurious retirement resort communities in the world, then it’s time to take your retirement dreams and make the move to Mexico. Contact an immigration lawyer or look online for more information on how to fulfill your dream to enjoy retirement in Mexico. P.S. In the Mexican healthcare system, private insurance is available to those who can afford it, while the government takes certain steps to subsidize healthcare for those citizens who are too poor to afford any comprehensive healthcare of their own. 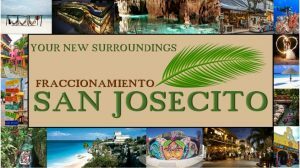 Read more on this medical tourism in Mexico.